Of course, you need accessories with laptops and that’s also the case with Chromebooks. However, compatibility can be an issue and you need to find an accessory works best with a Chromebook. Here are the five must-have accessories for you to have if you own a Chromebook. The choice is simple; you could either get a USB wireless mouse or a Bluetooth mouse for your Chromebook. 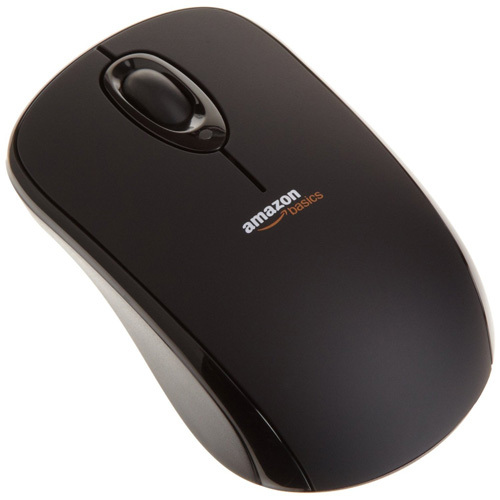 If you’re going to get a USB wireless one, make sure you get your hands on AmazonBasics Wireless Mouse that comes with a nano receiver. It is easy to use and works nicely with a USB 2.0 port.However, the problem is that the Chromebook’s minimalistic design only features one USB 2.0 port, so you’ll be out of ports or you’ll need to get a USB hub. If you want to go for a Bluetooth mouse, just make sure your Chromebook supports Bluetooth and you’re good to go. A webcam is important. It’s not just about style and elegance; if you really want to use Google Hangouts and GTalk in their full glory, you’ll need a compatible HD webcam.If your Chromebook already has an HD camera like the Series 550, you do not need to get anything extra. However, if you don’t, then the Logitech C920 is the one you want. Don’t believe us? Even Google has made it the recommended camera for the Chromebox for Meetings, which is a conference tool for small businesses.With its 1080p HD video, dual mic with stereo audio and built-in H.264 compression, the camera is the best webcam to compliment your Chromebook. Let’s face it, Chromebook’s on-board microphone lacks the quality for professional use and you will definitely want to get a headset that you can use perfectly with GTalk and Google Hangouts. You can try the GE Universal All-in-One Stereo Headset series. It is compatible with tablets and mobile phones and has different adapters to make that happen. It even comes with a TRRS connector that makes it ideal for a Chromebook. Having an external drive for backup purposes despite Google’s cloud computing is understandable. Having offline storage of your important files means that you don’t have to feel paralyzed in case your Wi-Fi’s down or you’re on a vacation. Chromebooks recognize external drives and connect them via the USB 3.0 port, giving you blazing fast speeds for data transfer. The Seagate Expansion 500GB USB 3.0 Portable External Hard Drive is the recommended one, but you can also get external drives up to 6TB, so it’s all about what suits your needs. Protecting your Chromebook is important, so you may want to take a look at the Armor Wear’s Laptop Neoprene Sleeve Case that is available in four different colors and in six different sizes. It’s lightweight, well-cushioned and water resistant and comes with a zipper enclosure to ensure maximum protection. So these are the five must-have accessories that you should purchase if you’re a Google Chromebook owner.